Rivers Cuomo and the guys of Weezer have been promising fans that their new album is coming soon, and now, we finally have a release date. Weezer will unleash their 12th studio album, “The Black Album,” on March 1, 2019. 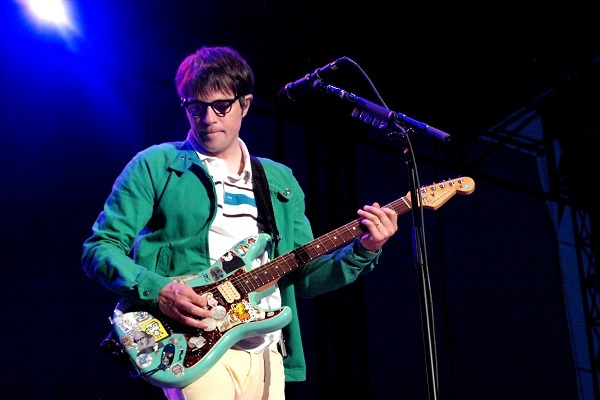 The release date comes at a perfect time for Weezer, as the band will set off on a North American tour with Pixies the week following the release. That tour includes a just-announced gig at the legendary Madison Square Garden in New York City on March 12. Those who sign up to be on Weezer’s mailing list by 7p.m. ET on Sunday (Nov. 25) will get a pre-sale code which kicks in at 11a.m. ET the next day. General on-sale tickets will be availble starting at noon ET on Nov. 30. As for the songs on “The Black Album,” Weezer recently released the first track off the set, “Can’t Knock the Hustle,” and the band also just unveiled another track off the album, called “Zombie Bastards.” Stream both songs below. Weezer also recently covered Toto’s “Africa,” and the result is the band’s biggest hit in roughly a decade.